Participants in the Irish renewable energy market may feel that they have had their fill of changes in recent times, given the introduction of I-SEM in October 2018, the upcoming expiry of the REFIT support programme, together with (at the time of writing) the uncertainty caused by the ongoing Brexit process. Different ownership structures: one feature of the Renewable Electricity Support Scheme (“RESS” as discussed in more detail elsewhere in this publication) is the focus on enabling greater community involvement in renewable energy projects. In particular, there will be a requirement for developers to offer residents within a 10km radius of each project an opportunity to invest into it. Creditors will seek to ensure that any such community investment is structured in order not to adversely affect security packages and contractual controls on value leakage – potentially by drawing on successful community investment in other markets (such as the use of cooperatives to invest in onshore wind projects in Denmark or the use of share ownership trusts). New capital structures: the introduction of RESS is expected to result in lower pricing for renewable energy projects, potentially giving rise to a requirement for other types of debt (in addition to senior bank finance) in order to enable sponsors to meet their return targets for new projects. This could involve the use of contractually subordinated mezzanine debt and/or structurally subordinated holdco debt (as recently seen in the context of acquisitions in the UK offshore wind market). For larger projects or portfolios of smaller projects, there may be scope for secured debt platforms to be established in order to refinance projects which are already operational. Such platforms allow for bank loans and institutional debt with differing maturities and pricing to share a common security package which may even be “portable” across a change of ownership (as first seen in the UK utilities sector and more recently on waste-to-energy deals in the Netherlands and elsewhere). Green Loans: in 2018, the Loan Market Association published its Green Loan Principles (“GLPs”). While this development may not directly impact traditional sponsor-backed project financings, these voluntary recommended guidelines reflect the increasing appetite from banks to provide financing to corporate borrowers which is earmarked to fund expenditure on green projects. This in turn should act as a further catalyst for the entry into corporate power purchase agreements for renewable energy projects. In line with the GLPs, these would allow for borrowers to report against performance indicators showing the environmental impact of their green projects (and potentially to benefit from corresponding margin ratchet step-downs under green loan financings), while helping corporate offtakers to demonstrate both “greenness” and additionality. Matt Dunn is a Partner and Head of the Project and Infrastructure Finance Group at Arthur Cox. 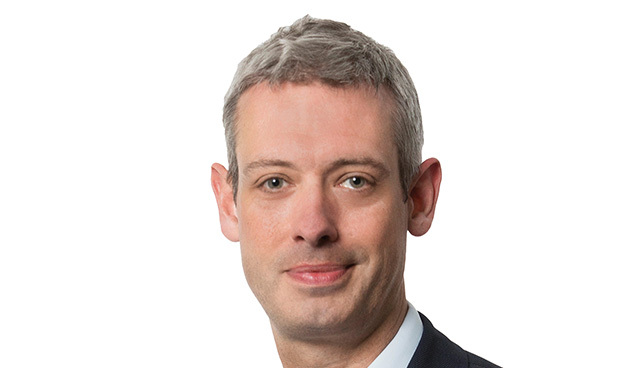 He recently joined from Clifford Chance where he advised borrowers and lenders on leveraged finance transactions, infrastructure / secured debt platform financings and project financings, as well as the Loan Market Association on its leveraged finance documentation. Matt brings substantial international finance expertise that is unique in the Irish market. He works closely with the firm’s Infrastructure, Construction & Utilities Group on financings in the infrastructure and utilities sectors, including PFI and PPP financings. He is currently advising on several Irish renewable financings in the wind and biomass sectors.